Are you looking to drive more revenue through your Amazon product listings? Do you want to increase your visibility on Amazon? Are you looking to have your listings convert better, making you more money? We can help you crack the code to optimize for Amazon’s search algorithm, called A9. A vast majority of purchases on Amazon begin in the search bar. The more keywords your listing is indexed for, the more searches your listing can rank for in the search results. It's keywords that drives success on Amazon. What is Amazon A9 Search Algorithm? However, there are major differences between Google’s algorithm and Amazon’s A9. Unlike Google, Amazon’s definition of success isn’t to send traffic to other sites, but to find the product that will provide the best sales conversion. It is for this fundamental difference between the two search engines that you cannot just apply the same tactics we’re used to in optimizing for Google, Yahoo or even Bing. What are the Steps for Optimizing Your Amazon Listings? Keyword research is the core of Amazon Optimization. Products can only be found for a specific search query if the listing contains all of the necessary search keywords. For this reason, a crucial first step of Amazon listing optimization is to do comprehensive keyword research to find out which keywords are relevant to your product. Our Amazon experts provide a thorough search term analysis to be placed into your back-end search term fields within Seller Central. Most sellers get these wrong, we show you how to get them right! Watch this video from the experts! Our ecommerce copywriters leverage your Amazon listing's product descriptions to increase your product's keyword exposure. At the same time, great marketing copy helps potential customers understand your brand, helping you sell more! Our team of Amazon experts create captivating copy that converts; and yes we do this in your bullet points. We format your bullet points so they are designed to sell. We make sure that your marketing message is clear, and that your product grabs your customers attention. We also integrate the Amazon search terms throughout your bullets to improve you listing positions. Your product's title is the first piece of content potential customers interact with. We build you a powerful title designed to maximize keyword exposure and conversion. Proper title optimization helps your products rank better too! Your images are an important deciding factor to converting customers. Images play a huge part in influencing the consumer's decision to buy. Product images are very important, because customers want to have a sense that they know exactly what they are buying. Amazon allows for many images - so use them wisely! We can help you decide which images work best. Have you ever wondered how many customers land on your product detail page but aren't buying your product? If you can increase your conversion rate this could potentially add up to hundreds of thousands of dollars over time. We also suggest using Amazon A/B testing tools to see which product detail page outperforms the other. When you create product listings, sellers have the option to create variations for certain products and categories. For more information about creating products in the Amazon catalog, visit Amazon. If you sell a group of related products, we can help you create product variations, doing so will give your detail page depth, and your customers more options - this helps in converting visitors to customers. At Palmetto Digital Marketing Group, we offer Amazon set up, management and Amazon consulting services to companies who want to increase their Amazon revenues. Our motto is "We do Amazon so you don't have to." Let Amazon pick, pack, and ship your orders. It's the best way to ship your products to your customers, and it's very cost effective too! Amazon has one of the best fulfillment networks in the world, and your business can benefit from our expertise. With Fulfillment by Amazon (FBA), you store your products in Amazon's fulfillment centers. Best of all, FBA can help you scale your business and reach more customers. 1. Our Consultants Set up FBA Services. 2. Our Amazon FBA Specialists create your product listings. 3. Our Amazon FBA Experts help you prepare your products for shipment to Amazon. Make sure your products are "e-commerce ready" so they can be safely and securely transported all the way into a customer's hands. Need supplies? Get Amazon preferred prep and shipping supplies delivered to your door. 4. Our Amazon FBA Experts provide direction so you can ship your products to Amazon. 5. Using Amazon FBA allows customers to order your products and Amazon picks, packs, and ships them - Wow, now that's Amazing! 6. Our Amazon FBA Experts and Amazon provides customer support on products you sell. What Are Amazon FBA Fees? Effective October 1, 2017, Amazon will reduce the Fulfillment Fee for all items shipped in October. October Fulfillment Fees will be consistent with Fulfillment Fees in November and December. We have the pleasure to do SEO work for Food Fire + Knives. This is a new startup in the Charleston, SC area that offers education and fun Cooking Classes and Cooking Workshops in your own home! Introducing a fun, hands-on culinary experience to Charleston, SC. Food Fire + Knives will show you how to make professional quality food in YOUR kitchen. By teaching proven restaurant methods, we tailor a home cooking experience that is accessible to everyone, providing valuable, life-long knowledge that will take your culinary potential beyond your expectations. Great SEO's take a comprehensive approach, they make sure that your site uses best practice and provides Google with clean, readable content. They focus on the technical, creative and social implications. They keep up to date with trends and search engine updates making sure that your content is helping you, not hurting you. Lastly, they understand the importance of social media integration and content generation. A balanced approach is what drives SEO success. Call us today (919-414-1776) to find out how we can help you be found! Listing products on Amazon gives eCommerce entrepreneurs visibility to millions of shoppers across the globe. With extensive experience and in-depth domain expertise in Amazon Product Data Entry Services, Palmetto Digital Marketing Group helps you set up and manage a number of products along with their details including SKUs, titles, descriptions, images, attributes, pricing, tech specs, customer reviews and a lot more. Our consultants strictly comply with Amazon’s product detail page guidelines to create well-optimized product listings that not only boost your web presence but also lead to a substantial increase in product sales and conversion rates. Delivering a vast array of Amazon seller Central services, PDMG supports online retailers in growing their business online. We use technology to capture product information from various sources like catalogs, competitors’ websites, manufacturers’ sites, etc., add, manage & update the product details, as well as better manage pricing, orders and inventory in a timely fashion. With more than 20 product categories open for selling across Amazon, it can be overwhelming for online merchants to classify items with utmost precision. This is where the Amazon consultants at PDMG can help you. We can sort your products appropriately across open categories as well as categories requiring approval to make it easy for the visitors to locate the items and provide them a seamless shopping experience. Our Amazon consultants are well-acquainted with Amazon’s product upload guidelines. We create product listings with pertinent details like SKUs, SEO-friendly product titles, brand name, manufacturer, engaging & compelling product descriptions, unique features, clear and visually-appealing images, competitive prices, accurate attributes, etc. We can also manage variation listings, assigning unique quantity and prices for each listing. We have a dedicated team of eCommerce copywriters and content writers to create search engine friendly, informative and compelling product descriptions that highlight all the key features and tech specs. We incorporate all the relevant and mostly-searched keywords to help you gain better position in search engines. If you want success on Amazon, you need to understand how Amazon’s Search Algorithm works. The Amazon consultant team at PDMG precisely does that! We help online retailers not only optimize their product content to increase visibility but also gain in Amazon rankings and search results. 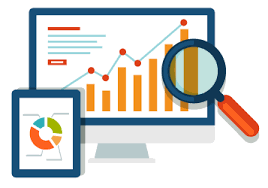 Our Amazon consultants ensure that all the keywords are in fact recognized accurately and also that the available keywords fields are best utilized by you. Our Amazon consultants ensure your customer are 100% confident in making a purchase based entirely on the title alone. Optimal title lengths are typically between 80 – 250 characters but vary based on category and can be up to 500 characters. For instance, Amazon suppresses products with titles longer than 80 characters in the apparel category. Our Amazon consultants can help you obtain product reviews with relevant product content. The product reviews drive conversion, which in turn drives sales history, consequently increasing your SERP rankings! Our Amazon consultants aid in grouping product listings together as parent/child variations to increase the visibility of your child SKUs. As part of Amazon product listing services, we assist eCommerce entrepreneurs in regularly monitoring inventory levels and ensuring they are up-to-date. Our Amazon consultants provide back office support services like customer support, order entry, order processing, shipment handling, cross-selling and up-selling, competitor price monitoring and other routine business activities. In order to be one of the most reliable, safest and preferred online marketplaces in the world, Amazon depends on its tens of thousands of 3rd party resellers. If you are a reseller who is looking for a company to run all of your Amazon efforts - read more about how we can help. Do you want to crack the code to winning the Amazon buy box? Do you want to know what it takes to win the buy box 90% of the time? In this article we outline the most important factors that lead to winning the Amazon Buy Box. In order to be one of the most reliable, safest and preferred online marketplaces in the world, Amazon depends on its tens of thousands of resellers. Most resellers don't have the time and expertise to manage their storefronts while sourcing new product lines. This is where Palmetto Digital Marketing Group fits into the Amazon selling equation. Our company offers a full range of services to Amazon sellers, including fully outsourced Amazon storefront management services. We assist with every aspect when selling on Amazon. Our team of professional Amazon consultants can manage both Amazon Vendor Central & Amazon Seller Central.programs. With our fully outsourced Amazon management services, we support your business needs and help you grow your business. . Our Amazon consultants and experts follow industry best practices and keep up to date with the changes enacted by Amazon.com. Full management of product listings and inventory shipments: providing control over product listings & inventory shipments. You can reach out to millions of shoppers, plus boost product sales & accumulate the highest revenue. We strictly follow Amazon guidelines along with – Product Search Algorithm in order to help you gain better ranking for your items around the marketplace. The platform – Amazon Vendor Central is used by the majority of manufacturers and distributors in order to sell products in bulk to Amazon. The gateway enables the seller to manage customer orders, track product information, pricing inventory and access to Amazon Retail Analytics. Registering on Vendor Central is done by invitation only. While selling through the platform named as Amazon Vendor Central, your product page states “Ships From & Sold By Amazon”. One of the first things that you will need to consider is who is going to help you build your ecommerce site. You have many choices, you can use a web design company like Palmetto Digital Marketing Group, a web design agency, or hire a private web design professional. We are a group of subject matter experts! We offer digital marketing, web design and eCommerce management services to companies who want to be found on the web. Think of us as the digital marketing extension of your company. Our motto is "we do digital, so you don't have too." We focus on increasing website traffic and conversion rates so our clients can achieve web dominance. We are a small team composed of 2 web designers, a copywriter, social media specialist and Amazon specialist. We offer our clients in-depth knowledge and offer deep skill-sets at "maximum value." A digital design agency is a business that delivers services for the creative and technical development of internet based products. These services range from the more generalist such as web design, e-mail marketing and micro-sites etc. to the more specialist such as viral campaigns, banner advertising, search engine optimization, podcasting, front-end development, etc. A freelance web designer or freelance worker is a term commonly used for a person who is self employed and is not necessarily committed to a particular employer long-term. Freelance web design workers are sometimes represented by a company or a temporary agency that resells freelance labor to clients; others work independently or use professional associations or websites to get work. Which Ecommerce Website Design Option is Best for Me? There are pro's and con's for each model. Typically agencies are more expensive and getting work completed can be a lengthy process. Typically when you hire a freelance professional, the level of work you get is dependent upon the talent level of the freelancer. The costs are usually lower, but often times the caliber of work matches the lower cost. This can be a great solution for small companies with little capital investment. With PDMG you get a balanced approach. We offer skilled labor at a fraction of the cost of a digital design agency. Think of us as a middle ground. We specialize in building Shopify and Bigcommerce stores. We can also complete projects in days vs. weeks or months. One of the first steps in writing an e-business plan is to decide what kind of web platform you want to use to sell online. You have several choices: Shopify, Magento, Big Commerce and WordPress with Woo Commerce Cart Functionality. Big Commerce, often referred to as BigCommerce (oneword), offers a simple solution to start an online store. If you have a product or service to sell online, you will need build your store on some type of shopping cart software. Are you ready to move forward and select both a web design partner and ecommerce selling platform? If so, please consider using Palmetto Digital Marketing Group - contact us today! A solid ecommerce strategy utilizes many components and, in the always changing environment that is ecommerce, your strategies need constant refinement. Your ecommerce strategy must define your goals, provide a roadmap for moving forward, and allow you to keep up with online competition. Whether you are an online retailer, brand manufacturer, wholesaler or distributor, Palmetto Digital Marketing Group's ecommerce consultants work with you to develop a comprehensive, data-driven strategy across ecommerce marketing and technology assessments. We all know that product descriptions can be extremely important, but oftentimes ecommerce store owners include or remove them at abandon. There is also the matter of image quality. As this study mentions, one of the best ways to sell a physical good is to get it in somebody's hands. Since you can't do that online, the best alternative is to get them to imagine it in their hands. When competing against the big boys of ecommerce, there is one thing you need to realize: their brand recognition means that they don't have to prove to people that they are trustworthy. The perfect testimonial is typically found through a well known customer, or a customer that perfectly represents one of your persona. In other words, the source of the testimonial often matters just as much as what was said, so put your best foot forward by selecting the praise you received that will be most comforting to prospective customers. Do you want to crack the code to winning the Amazon buy box? Do you want to know what it takes to win the buy box 90% of the time. In this article we outline the most important factors that lead to winning the Amazon Buy Box. Palmetto Digital Marketing Group of Charleston, SC offers it's clients with a wide range of services, which include Amazon Management, Ecommerce Web Design and Ecommerce Consulting Services. The most important variable considered by Amazon is the item’s fulfillment. THE VARIABLES THAT AFFECT THE BUY BOX Amazon considers many different factors in determining who wins the Buy Box. The importance of each variable can change according to product. Amazon recently announced the introduction of Seller-Fulfilled Prime. This means that high-performing Fulfillment by Merchant (FBM) sellers now have the option of fulfilling orders with the same benefits of Amazon Prime. The FBM seller gains many advantages by using this fulfillment method. For one, Seller-Fulfilled Prime allows them to list their products as Prime-eligible—and reach a far larger audience—while maintaining control of their fulfillment operations. This is especially useful for sellers of large or heavy products, since using FBA requires them to pay an additional cost of shipping the products to an Amazon fulfillment center. By eliminating this cost and shipping directly to the consumer, sellers will be able to offer lower prices, or increase their margins on these products. Amazon. This will entitle them to Amazon’s negotiated rates and service levels. Most importantly, sellers who enroll in Seller-Fulfilled Prime will have a Buy Box advantage over FBA sellers. This is a major turning point for FBM sellers, since up until now it was far more likely that an FBA seller would win the Buy Box. Now, not only is the playing field leveled, but the seller who uses Seller-Fulfilled Prime is at a Buy Box advantage. A lower landed price will increase the seller’s Buy Box share. This is arguably the easiest variable to manipulate, as it is the only element that the seller can control directly and instantly. to dropthe price in order to compete for the Buy Box. The score is calculated by dividing the number of perfect orders from the past 90 days by the total number of orders received during that time. The simplest metric looked at by the Buy Box is the time in which the seller promises to ship the item to the customer. Valid Tracking Rate is a new performance metric recently instated by Amazon. It is defined as the percentage of packages shipped with a valid tracking number divided by the total number of packages that have been shipped and confirmed. The expected ship date is calculated based on the handling time you set in Seller Central (in the Manage your Inventory section). If you do not set a handling time, the default is 1-2 business days. It is recommended therefore to ship and confirm shipment by the expected ship date. Ideally this number should be kept below 4% in order to positively impact one’s chances of winning the Buy Box. This is the percentage of orders that buyers received by the estimated delivery date. This number is based on valid tracking information. A score of less than 97% will have a strong negative effect on the Buy Box. To calculate this percentage, the number of tracked packages that were delivered on time is divided by the number of packages that have valid tracking information. This is the culmination of all the feedback that a seller has received from customers and is grouped by the last 30 days, 90 days and 365 days. The most recent feedback has the greatest effect on the Buy Box. In the below example, the feedback score was 93%, giving the seller 4.7 stars out of 5.
a maximum of 5 stars. While initially believed to have little effect on the Buy Box, it is now evident that Customer Response Time plays a part in determining the Buy Box share. This is the total number of buyers that have given the seller feedback. This metric has a dual purpose. Firstly, it is used to accurately weigh the Feedback Score between sellers with a long history and a lot of feedback, and newer sellers with a short history and less feedback. It is also considered a key metric in and of itself, and sellers with a high score are more likely to win the Buy Box over a seller with a low score, all other metrics being equal. The strength of the stock history is determined by how much time in the last 30 and 90 days the seller has been out of stock of this item. However, historical stock amounts do not seem to be taken into account. Even if a seller maintains a low stock level, they will be preferred over a perfectly equal competitive seller who has big fluctuations in stock quantity and frequently goes out of stock. have a strong negative effect. The Seller Rating metric, that was an overall score of customer experience related to each seller, has recently been removed from all Seller Central accounts. It did have a high impact on the Buy Box but is no longer relevant and therefore has no impact on a seller’s Buy Box share. Contact PDMG today for more information! At Palmetto Digital Marketing Group we offer digital marketing, web design and eCommerce management services to companies who want to be found on the web. Think of us as the digital marketing extension of your company. In this feature we are going to outline why we see many ecommerce websites on wordpress moving to turnkey ecommerce platforms like Shopify or Bigcommerce. Can you use Wordpress for Ecommerce? Yes, absolutely. Do I recommend it? No. While the security of WordPress (and some of the plugins that enable e-commerce functionality) is good enough, there are more things to consider than just the security. With WordPress (and subsequently WooCommerce or any other e-commerce plugin), you handle everything — including every technical detail — that happens with your website. If you build your your e-commerce site with WordPress, it’ll be yours to take care of. The plugins and themes you use will be secure, but there’s a large part of maintenance that you need to take care of (or you need to appoint someone to do so). WP plugins need updating. If you don't keep plugins updated, the store can be susceptible to virus or have breakage points. I have found that web download speeds on hosting networks can be slow, especially if you have large images, numerous images or 1000's of web images. SSL certificates, or HTTPS, ensures that the data transferred is secure and encrypted. This is not enabled by default on any website, the website administrator has to obtain this certificate so that the data users enter on the e-commerce site is encrypted and secure. This ensures safety of the user’s data as well as earns customer’s trust because they know their online shopping is safe and secure. Most established e-commerce websites, both WordPress-based and dedicated solutions, use third-party payment gateways such as PayPal. This ensures that the credit card information or other sensitive credentials pass through high security to the payment gateway. With Wordpress this is an additional effort, cost and development feature. Shopify is very clear who its customer is and if you are the type of business that fits its customer profile you are going to love Shopify much more than any other self-hosted ecommerce platform for the better user experience. 1 year subscription at the lowest tier is about $348 USD including cloud hosting and customer support. Technically, if you use open-source ecommerce alternatives, you only pay for hosting which can be as low as USD$80 per annum since the software is free, but to get up to par with Shopify stores, you probably need some professional help setting it up. This can go up to thousands of dollars. SaaS ecommerce service companies love Shopify because they have a customer base that is familiar with paying for services monthly. That's why you'll most probably always find whatever innovative new service you need on Shopify first before anywhere else, and some of them offer very good free plans. Conversely, SaaS companies don't really like platforms like woocommerce or opencart because... the people who use them don't really pay monthly subscription. So a lot of really convenient services are not integrated on these platforms. Great templates - oh yes! Blog marketing? check. Shopping cart - check. Payment gateway - check. Inventory management - check. Printing address label - check. Shipping & Courier integration - check. The workflow for Shopify is so convenient it just works with a bit of tweaking out of the box. In comparison, none of its open source peers (ie wordpress) could provide this kind of convenience without some rather extensive customization. Security & Reliability - Love it! Shopify is a global hosted service, meaning they have people monitoring their network 24/7 for any attacks and they can help you deal with any problems that arise. In addition, their add-ons generally have a certain standard and will not pose the risk of giving you trojans or viruses or other monkey business. Plus, you can opt for SSL or even PCI compliance to accept credit cards and store sensitive information without having to know the technical details of how it works. Open source alternatives CAN get this level of security & reliability, but not without paying a premium for managed hosting from Go Daddy. Shopify has the advantage of being a globally hosted solution with strong infrastructure. This means they can load the website much faster for you because they optimized their hardware and software. In comparison, third party open-source solutions like Wordpress need quite a bit of work to catch up to this kind of speed. The speed difference can be anywhere from milliseconds to seconds, so could be potentially quite noticeable and hurt website conversion rates. Net net, wordpress is great for creating beautiful website, that relay content. The platform is amazing and super flexible, good for ecommerce, not so much. Net net shopify is an extremely powerful and popular ecommerce platform. The themes are easy to use and the platforms capabilities are endless for shopify. Customization is very difficult unless you are the theme developer or highley skilled designer. Contact PDMG if you are in need of Shopify Website Design and Management, this is at the core of our business. Let Palmetto DIgital Marketing Group of Charleston South Carolina build your next Shopify store for your business! We can build your store in days not weeks. One of Shopify’s greatest selling points is its ease of use. We really like Shopify’s selection of themes too! In our opinion, they are turnkey and designed to perform right outside the box. Shopify comes with 11+ different free design templates, each of which is mobile responsive, and has a variety of different coloring options. All of these templates have a fashionably sleek and clean aesthetic which makes it perfect for modern, forward-thinking websites. Shopify then also features 75+ additional themes that run anywhere between $100- $185. Shopify’s designs are NOT created by Shopify; but rather through 3rd party design firms and are outsourced to professional web designers. This keeps their themes up-to–date with cutting edge functionality. These free features, include CSV uploads, shipping fulfilment options and Facebook storefront selling will set you back up to $750+ to get started on WooCommerce. Aside from the basic options, there are hundreds of different features that can be installed from the Shopify App Store. Shopify may not be as good as WordPress when it comes to blog effectiveness, however, creating blog content on Shopify is easy and very effective. Not to mention visually pleasing. Shopify also allows store owners to implement basic SEO practices like meta information and site copy with ease. Net net, as long as your site is creating genuine and unique content, your store will be able to take advantage of SEO best practices. Another benefit of Shopify's SEO use is the fact that Shopify has developers that use some of the cleanest code out there, which also incorporates a natural linking structure. This in turn creates a great user experience and hopefully will enhance your store's visibility in search engine rankings. One of the most important aspects of any customer relationship is support. Problems will occur, when they do you are going to want to contact your service provider. Shopify makes this easy! Shopify is mainly an all-in-one solution, you will never have headaches scrambling for help when you need it. Everything is all centralized within one system. With platforms like Woocommerce you will need to identify the causes of the problem and then contact your developer to ensure that you don't break any of the function within your store. Like what you hear? Are you looking for a company to design your shopify store and manage your ecommerce strategy? Consider contacting Palmetto Digital Marketing Group today.